Are you a new or growing small business owner ready to make the switch to accepting cards? You might have a few questions. 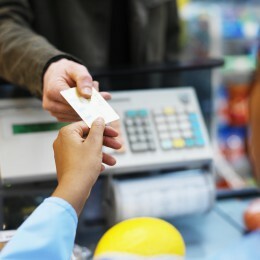 “What is the value of accepting electronic payment cards?” “How can you get the best deal from your processor?” Or even, “What are the best tips and practices for getting the best contract for your business?” Don’t worry, you are not alone, and these are common questions a lot of small business owners are facing. That’s why Master Your Card and the National Association of Women Business Owners created this online content series that includes five short webinars that cover topics including the value of card acceptance, how to get the best deal from a processor, how to read a monthly processor statement, and more. Accepting cards is good for your business and your community. Learn more about the benefits. Who’s involved with processing the payment cards you accept? Watch this webinar and learn more about the system and why it works for you. Ready to negotiate a contract? We’re here to help. This webinar shares tips and best practices for getting the best contract for your business. Understand the contracts you sign with business partners, as well as your monthly statements. We’ll show you sample contracts and talk you through the main points to look for and understand. Accepting cards and have a few questions? We’ve tried to answer some of the most common questions in this brief webinar. Learn how to address common challenges and get the most from payment technology.